SNAFU! 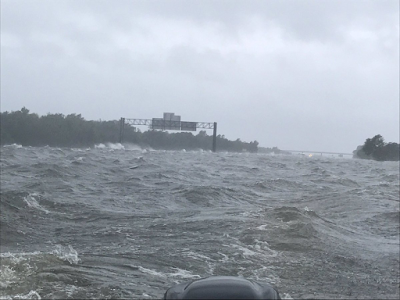 : How bad is the flooding on Interstate 10 in Beaumont Texas? Pics via Bayou Man Blog. How bad is the flooding on Interstate 10 in Beaumont Texas? Pics via Bayou Man Blog. Now do you think AAVs are overkill for this flood relief effort/rescue? That's a freaking highway covered in water! You're looking at better than Sea State 3 (looks just above...I'm seeing chop so I'm guessing 4...could easily be wrong) too so even AAVs might be pushed to navigate that! Things are bad in Houston, but no one (news media) can even get to Beaumont to cover the incident. After action reports will be telling.